﻿ Lifestyle: Caught in the web! 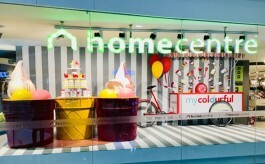 Home » Projects » Visual Merchandising » Lifestyle: Caught in the web! As part of their effort to establish and highlight non-apparel categories, Lifestyle has recently executed a kinetic window, featuring a setting of a colourful web and a moving spider at the top left corner, while handbags are placed within the cobweb. Further to this setting, a mannequin carrying a handbag, is placed in the middle. 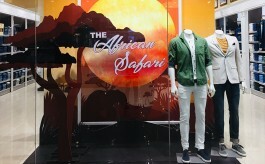 The window has been executed in northern India by Amitoje Creations, while southern and western India’s executions have been carried out by Tranz Mannequins and Pyramid Retail Services respectively.